Festival Fields is the latest addition to the ever popular Madame Tussauds in Blackpool, a themed area to celebrate the increasingly popular British festival scene. With new waxworks Ed Sheeran and Taylor Swift taking centre stage and joining fellow singer Olly Murs, there are photo opportunities galore with your favourite stars. The area will invlove a multi sensory experience with smells, sounds and all the sights you’d see at a festival such as mud, portaloos and a pair of rather funky, giant wellies. There is also a chill out area at the campsite around an open fire and a rather call retro VW campervan food stall. If you are brave enough you can also have ago at karaoke or playing with the interactive light show, it all sounds like a lot of fun to me! Make the most of your trip to Madame Tussauds Blackpool with a range of affordable ticket prices. Best Madame Tussauds prices are guaranteed online with 20% off on the day tickets. 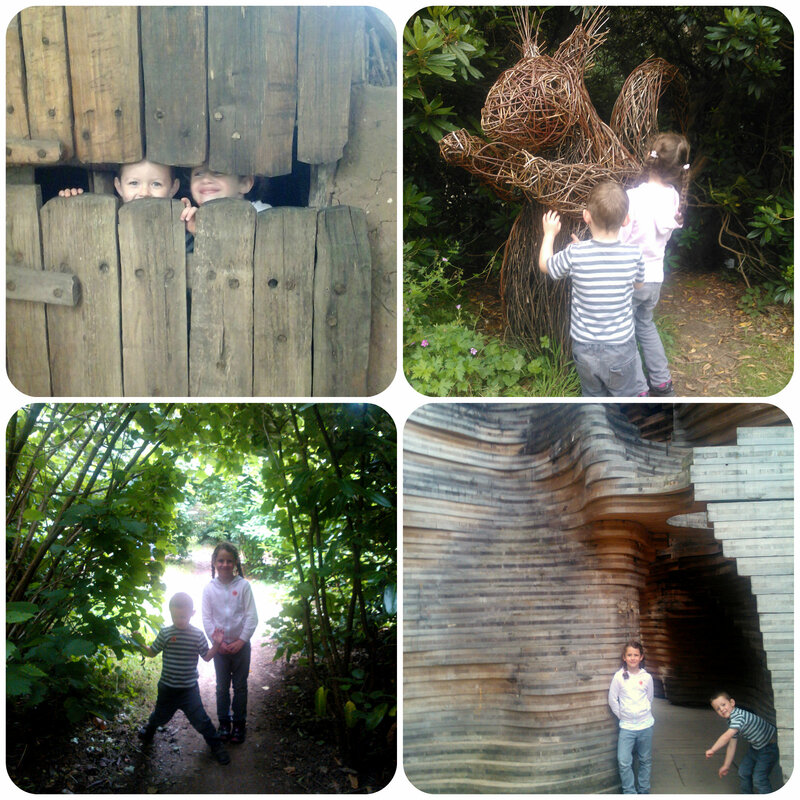 Last week we decided to have a family day out at Escot, somewhere I’d come across on the internet before the summer when researching places to visit for days out during the summer holidays. The thing that attracted me to visit was the Amazing Maze built using over 4000 Beech plants. Alongside is a woodland full of of exciting things to find and do. 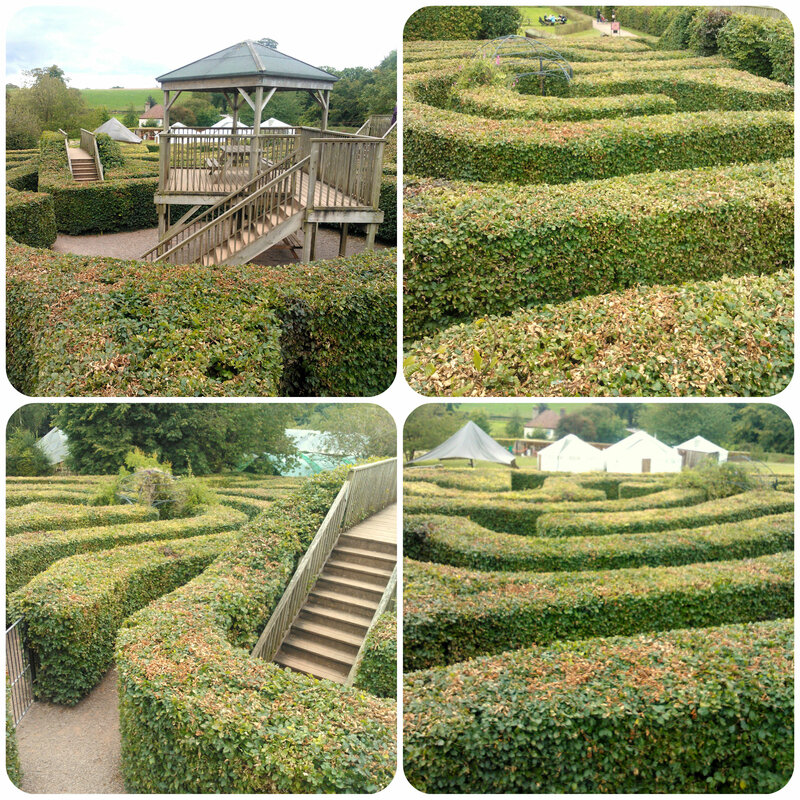 When we arrived we headed straight for the maze, and the children were full of excitement as they ran around the hedge lined paths, twisting and turning while mummy and daddy chased after them. After about half an hour they slowed down and let us take the lead as we attempted to logically think about which way to go, it felt like we were going around in circles but after about 50 minutes of wandering, we finally made it to the centre where we could admire the view and then take a bridge back outside of the maze. Around the corner from the maze we found a pond full of busy little otters eagerly awaiting feeding time. They were dipping in and out of the water faster than you could take a picture but I managed to catch a couple of them. 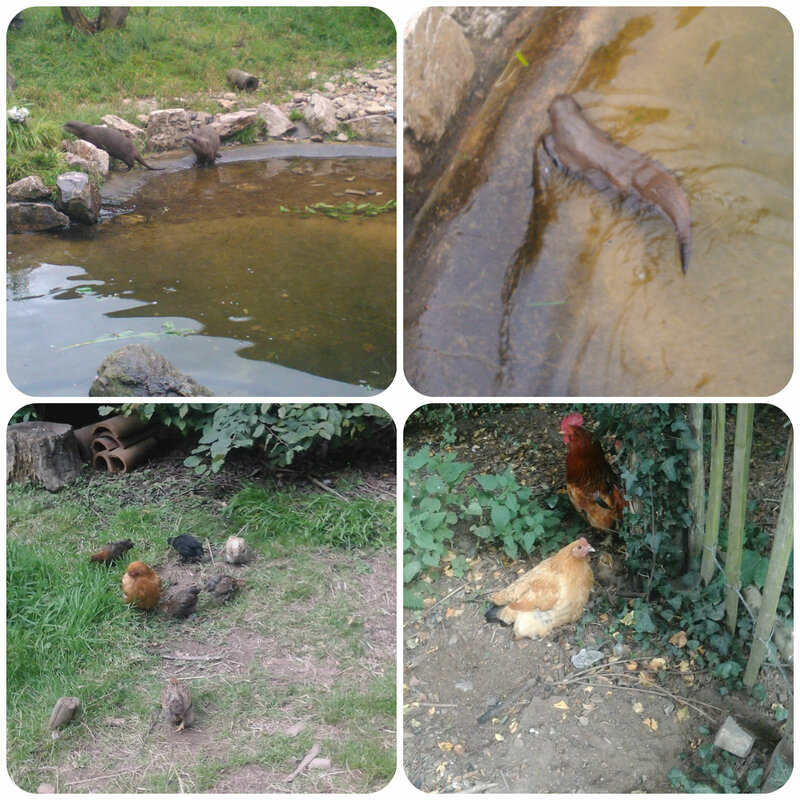 We also saw some chickens including some rather cute little fluffy ones! 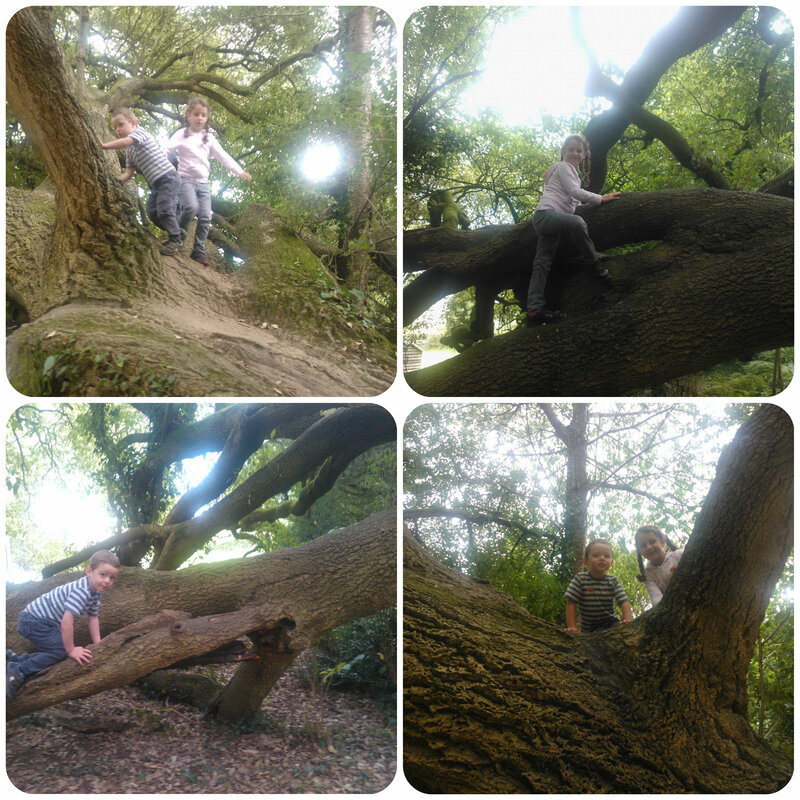 We then decided to follow the path through the woodland and the first thing we came across was a huge fallen tree, Miss M immediately took lead and began to climb up! 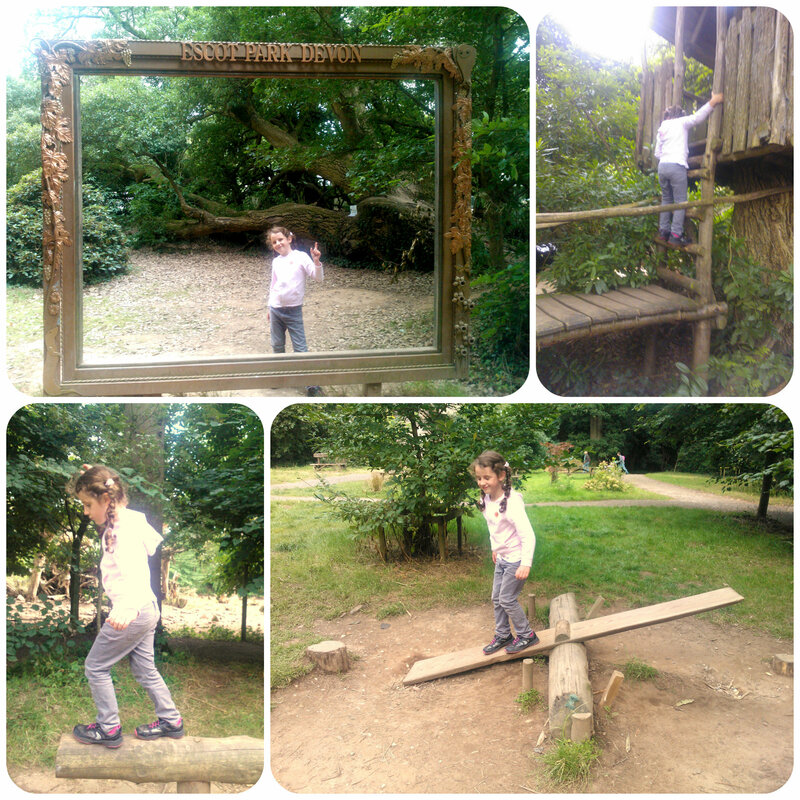 Across from the fallen tree was a huge picture frame, perfect for striking a pose! 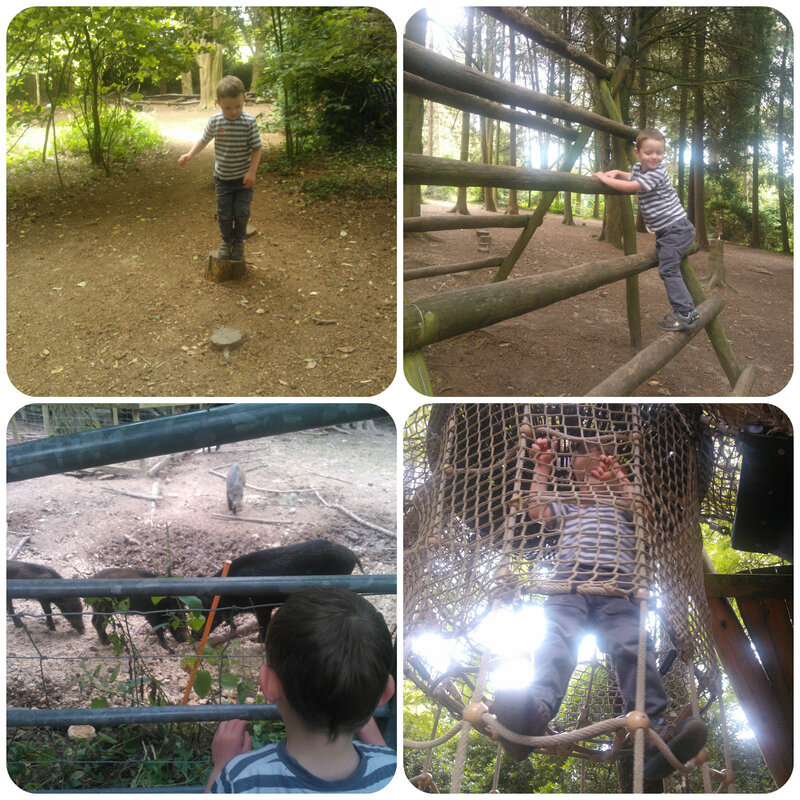 There were also various obstacle courses and climbing frames littered among the woodland that the children were delighted to find and enjoyed the challenge of climbing, balancing and sliding on. We did find a huge enclosed drop slide at the back of the woods that Miss M bravely ventured down and loved, although she was coming down at such speed I couldn’t get a decent photo of her in motion! Mister B enjoyed the various animals we came across, such as a Wild Boar enclosure where we saw the cutest litter of baby boars trundling around after their mummy! There were also lots of birds of prey and we sat and watched a display where they came swooping down brushing across the tops of our heads! The red squirrel cage kept us amused for a while as they darted up and down and across tunnels then stopping momentarily while their beady eyes checked us out. 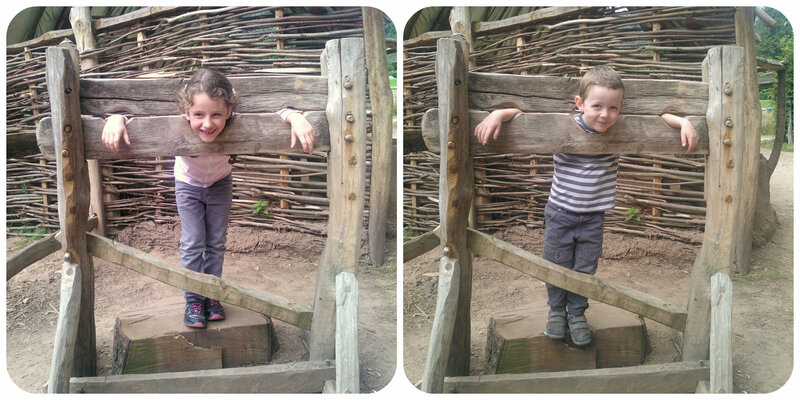 With trains to climb aboard, tunnels to crawl through, this was certainly a woodland walk with a difference. Which ever way you turned, hiding behind the next set of trees was something to do. 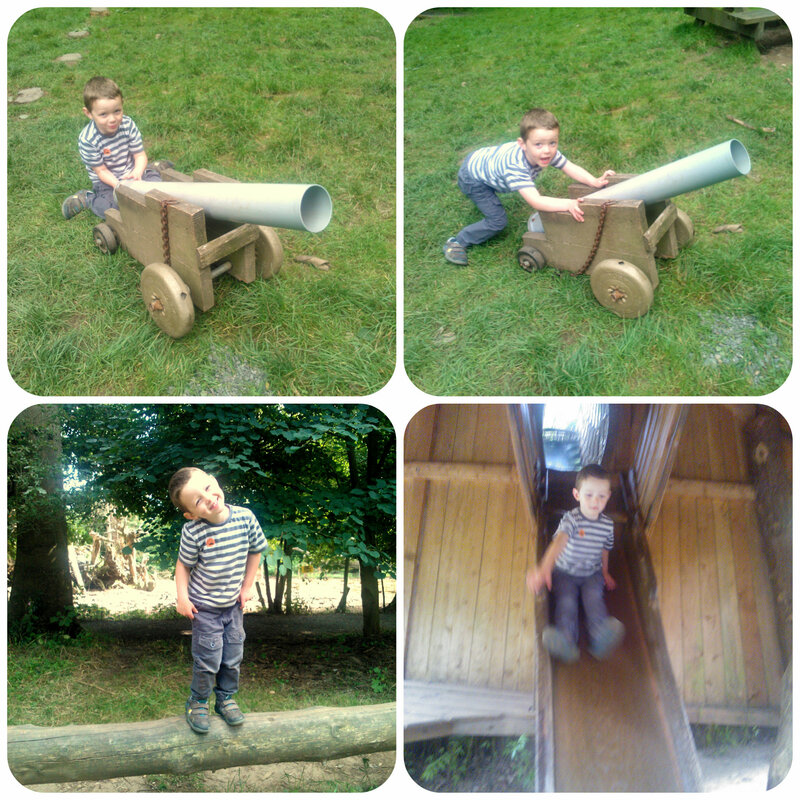 I loved this hand built cannon that Mister B found, he pushed it around pretending to fire and made all the right noises to go with it! 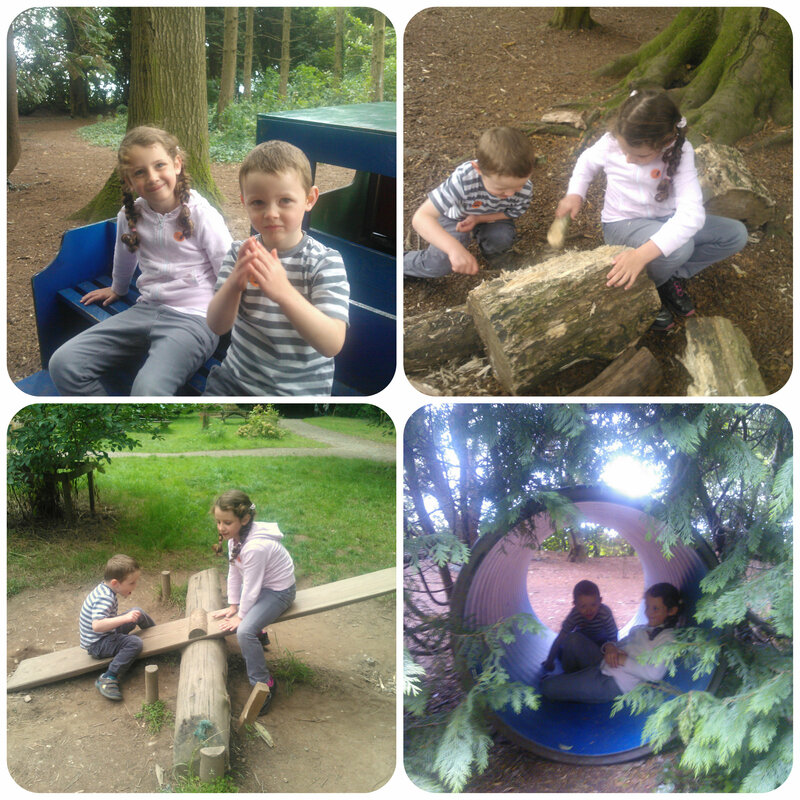 Miss M and Mister had so much fun running in and out of things, hiding behind things and exploring, this is definitely a must for children who love the outdoors, with so much to do, little ones certainly won’t be bored! We had a light shower of rain, but were not deterred as there was a big soft play barn next to the maze for lots of indoor fun, I managed to catch my two rolling about in the ball pool. 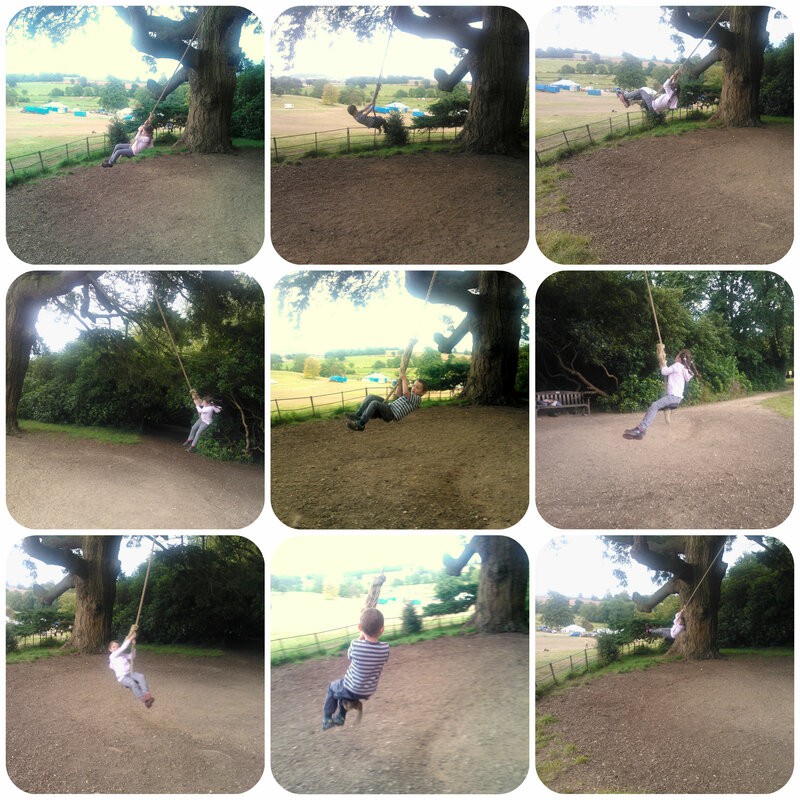 One thing that they both loved, yet was so simple was this huge hanging rope swing from a large tree. As they swung around they had an amazing view over the fields beyond, I almost wished I’d been younger and could of had a go myself! 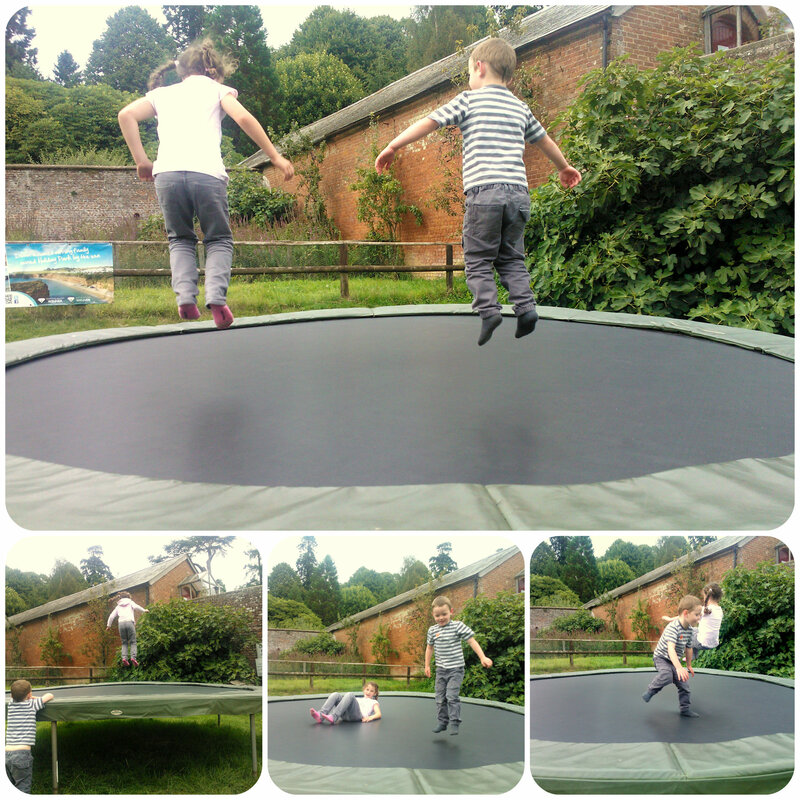 On our way out we found this huge trampoline and the children flew across to have a bounce. They long for one at home but we don’t have a suitable size garden so they certainly made up for it on this not wanting to come off! Miss M went on the trampoline with one very wobbly top tooth and came off with it hanging by a thread and lots of blood, so I told her she’d need to pull it to get it out. With one little tug it came loose, her first top row tooth to come out. Although she was a little alarmed by the experience, she was very excited about the visit she’d get from the tooth fairy that night. 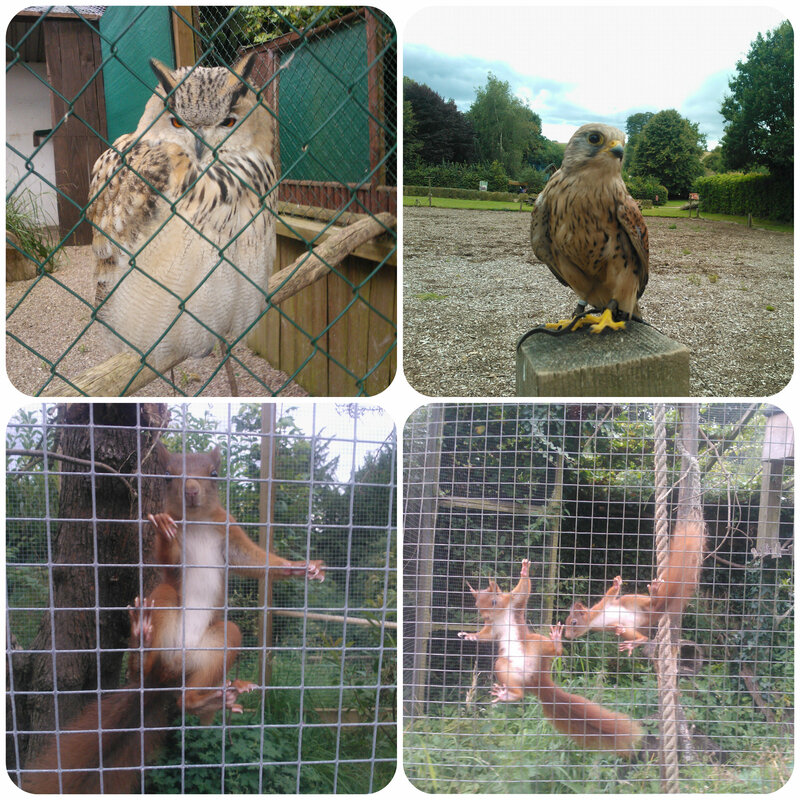 We had a really lovely family day out at Escot, somewhere I’d thoroughly recommend visiting and that we’ll definitely go to again. Hope you’ve all had some great day’s out this summer and with the warm weather looking to continue over the next few weeks, hopefully we can squeeze in a few more fun days out at the weekends. 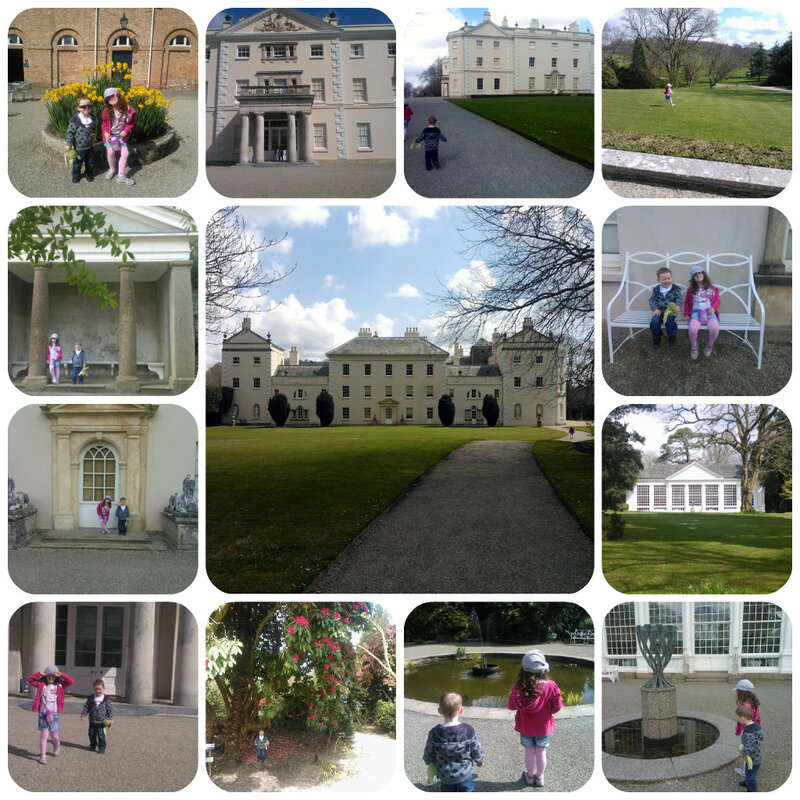 Saltram House and Garden – a fun day with the children!! With the husband on a ten hour shift at work today and the sun shining, I knew the children would be itching to get outside but I didn’t really fancy venturing down to the local park on a busy Saturday. So whilst having a quick peek at my twitter feed over breakfast I noticed that the National Trust were offering free entrance to most of their properties this weekend. 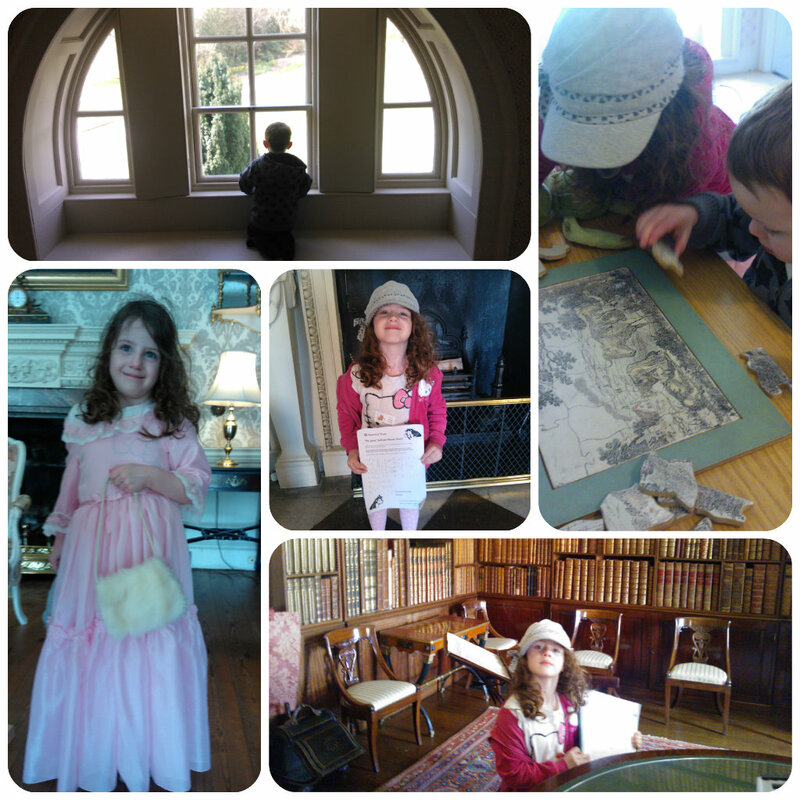 I quickly packed up a bag with a few essentials and off we went in the car to visit Saltram House, our local Georgian National Trust Property. 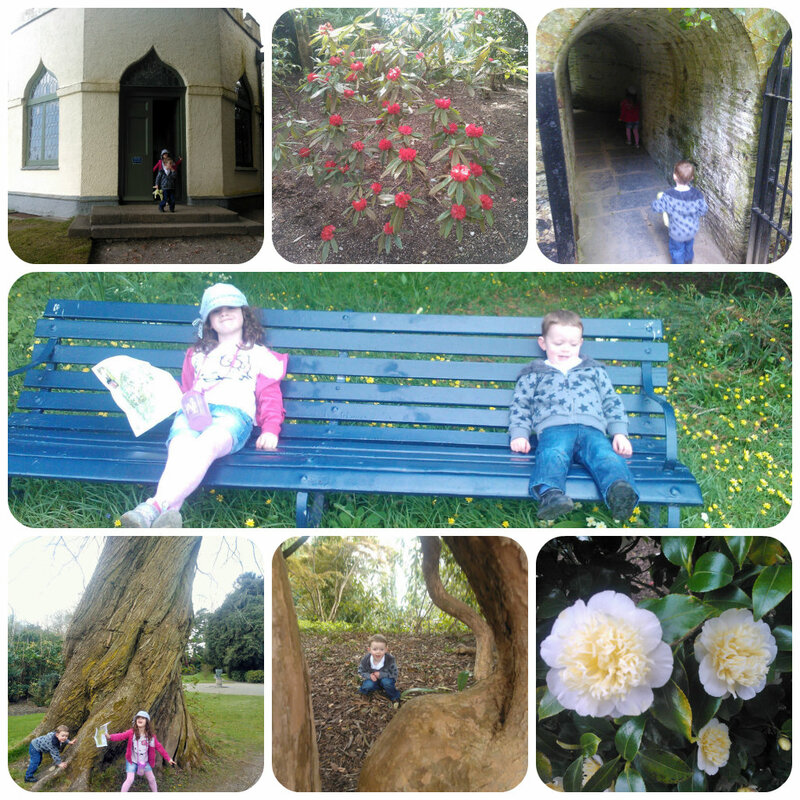 As the house doesn’t open until 12pm we headed through to the gardens which Miss M and Mister B absolutely loved. They ran ahead and led me through the winding paths, climbing every tree they could. We found little shelters to explore and even an underground cellar. The flowers and trees were wonderful just coming into bloom giving us plenty to look at and talk about. The children loved running around in the fresh air and the sun was shining, helping them to burn off the excess energy they woke up with. 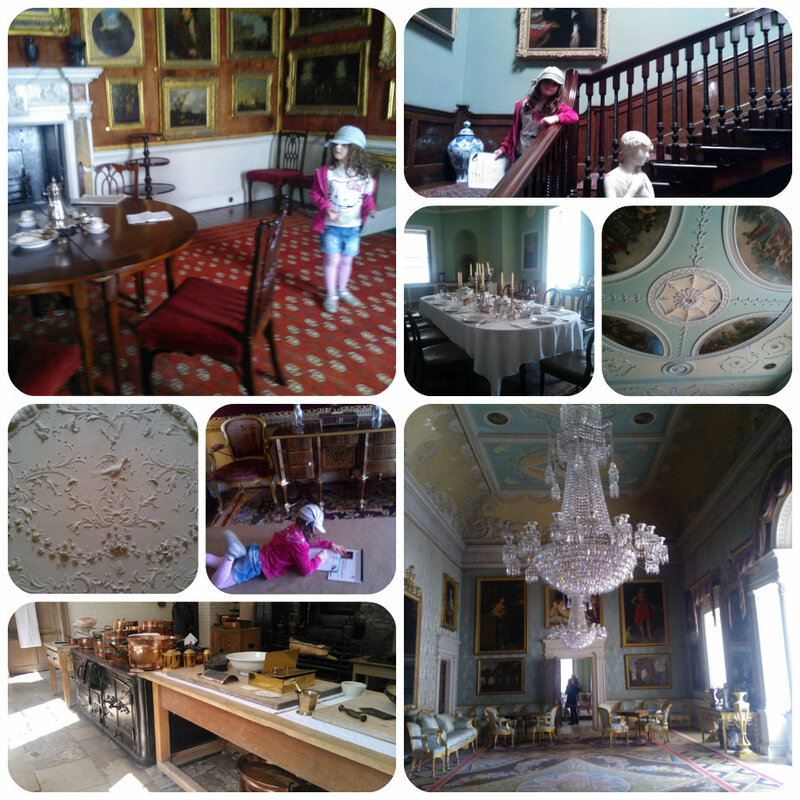 After about an hour of exploring we headed in to the house, a beautiful Georgian Mansion. Miss M was given a clipboard to carry around, noting down the rooms she spotted hidden wooden mice in – a great activity to keep children’s eyes peeled and maintain their interest in wandering around the property. 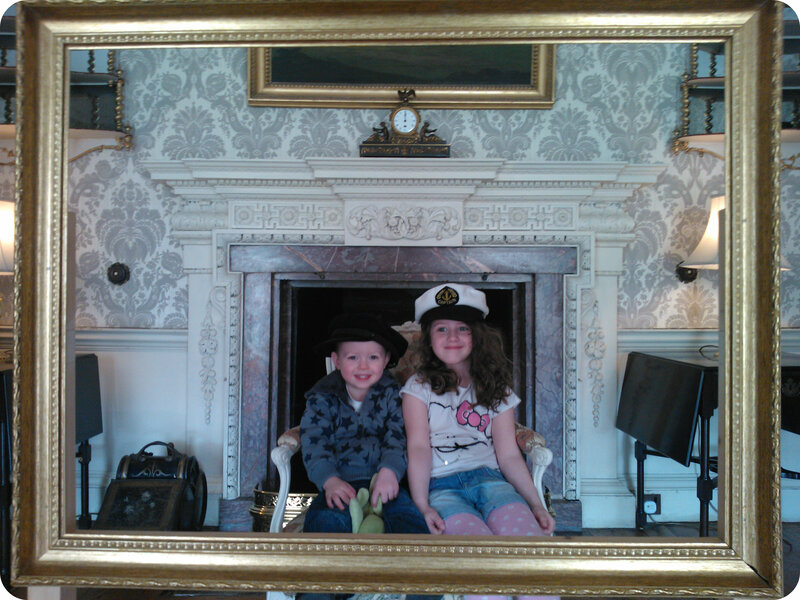 We even found a dressing up room upstairs where we could try on replica clothes and pose for a photo. Mister B insisted on trying on the entire range of gentleman’s hats!! Once we had finished the tour of the house, Miss M was given a sticker for her excellent effort in spotting all the hidden mice. We then headed off to the cafe for a late lunch and even sat outside in the glorious sunshine to relax. 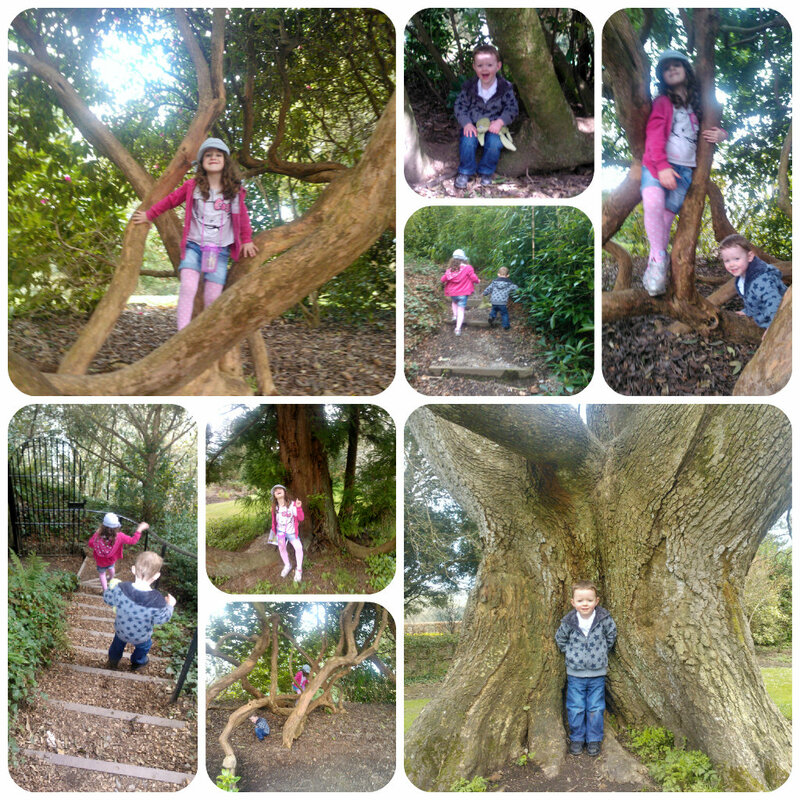 What a lovely day spent with just me and my two children, it was so nice to get away from a day stuck at home and has definitely inspired me to take the children to more National Trust properties when we’ve got the time, although may have to find a day daddy isn’t working for the ones more further afield!